Each December, art consumes the entire city of Miami during Art Basel: from pop up art galleries and special exhibitions to festive parties and celebrity sightings. And this is not an overstatement. But beyond the beach, there have also become more and more opportunities to see and support work by artists of African descent and discover the diversity and culture that Miami has to offer. From art, food, culture, and its eclectic neighborhoods, you’re sure to encounter a version of Miami that you never saw during those spring break or Carnival visits. And in a time where Black lives (still) matter, and we’re protesting, kneeling and marching to show it, we need to be supporting artists who portray the Black experience through their work. 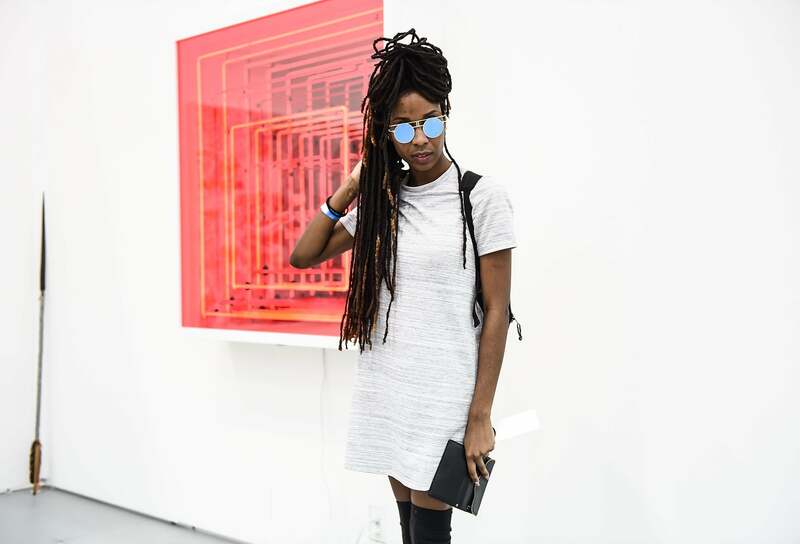 And for emerging Black artists, Art Basel Miami Beach creates a platform that often translates into greater exposure for those who often who have not been given recognition, or quite frankly, who have often been overlooked in an artist community that is whitewashed. 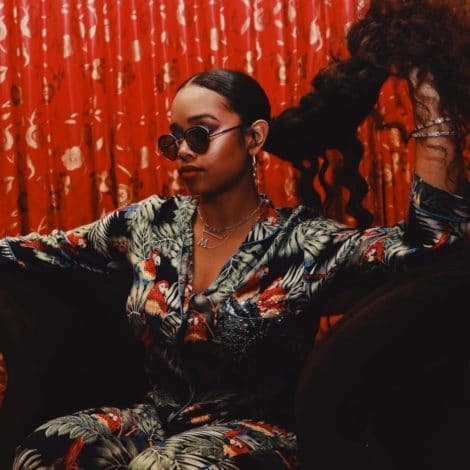 In order to create opportunities such as this, Art Basel Miami Beach has inspired many events throughout the years, including Art of Black Miami, a platform that spotlights aspiring and renowned local and global artists. Launching during Art Basel in 2014, but continuing year-round, this initiative celebrates the abundant artistic diversity found within Miami’s mosaic neighborhoods. Heritage communities participating in Art of Black Miami include but are not limited to Little Haiti, Coconut Grove, Liberty City, Opa-Locka, Historic Overtown, Wynwood, MiMo District, Downtown and other areas where artists will exhibit and display their abundant artistic talents. Coinciding with Miami Art Week, Prizm Art Fair takes place from December 5th through December 17th at Mana Contemporary Downtown, Miami. This year, Prizm presents Universal Belonging, a global program curated by Mikhaile Solomon that unravels and explores complexities inherent in transcultural dialogue. Incorporating an array of narratives that shape the Diasporic experience in widespread geographies, Prizm will feature Iran (Sara Issakharian), Egypt (Ibrahim Ahmed), Nigeria (Yachinma Ukoha-Kalu), the Caribbean (Sheena Rose, Nyugen Smith ) and the United States (T. Eliott Mansa, Leonardo Benzant). Prizm Art Fair will feature four special sections: Prizm Preview, Prizm Panels, Prizm Film, and Prizm Perform. William Cordova curates: “Chicago 9” and “The transphysics we knew about…”, special exhibitions within Prizm. Exhibiting artists include Purvis Young, Coco Fusco, Leslie Hewitt, Dinizulu Gene Tinnie, Aramis O’Reilly, Donald McKnight, Debra Priestly, Derrick Adams, Torkwase Dyson. John Dunkley was widely considered to be one of Jamaica’s most important historical artists. This year’s featured exhibit ‘John Dunkley: Neither Day nor Night’ will showcase his work by including paintings from the 1930s and ‘40s alongside a smaller selection of carved-wood and stone sculptures. Dunkley’s paintings are defined by their distinctive dark palette, detailed imagery—often landscapes––and psychologically suggestive underpinnings. His intimate sculptures reflect more figurative elements—people and animals—and offer insights into his unique iconography. Although his work is well represented in the collection of the National Gallery of Jamaica, Kingston, as well as in international private collections, Dunkley has not been the focus of a solo exhibition since the 1970s, and never before outside Jamaica. SandyRose (now Sandra Epps) currently resides in Miami, but her heritage is deeply rooted throughout the world. Born in North Carolina to parents of New Orleans French Creole, Choctaw, Mexican and Cuban roots. Her work is encompassed through canvas artworks, watercolor and mixed media. Using the process of meditation and visualization, she uses a technique of painting with her hands, pushing and moving the paint onto the canvas with her fingers and then uses India ink to further define the piece. Epps uses bright colors and metallic pigments to bring forth inner power and fiery passion into her artwork. Various pieces from The Visionary series were created live, using the energy from poetic and music performances to become enlaced in the theme of the painting. Incorporating words and poems with themes of personal power and love further allows the viewer to internalize and connect with the art on a personal level where reflection, peace and breakthrough can be manifested. This year PAMM presents On the Horizon: Contemporary Cuban Art from the Jorge M. Pérez Collection, an exhibition of over 170 works of art, spanning painting, drawing, photography, mixed-media and sculpture. The exhibition is presented in three parts over the course of a year, and features a rich panorama of recent work produced by artists living both in Cuba and abroad. On the Horizon celebrates the recent generous gift of Cuban artworks donated to the museum by Jorge M. Pérez in December 2016, and includes a significant number of recent acquisitions purchased during the last year with funds provided as part of the donation. Abigail Gomez is a mixed media visual artist, teaching artist and arts advocate from Virginia. “Roots: La Cuba de mi bisabuelo” is a collection of abstract expressionistic mixed media paintings inspired by her Cuban heritage. The paintings in this collection have a dimensional tactile layer replicating intricate Spanish style ironwork evident on Cuban homes (rejas). The inclusion of this tactile element presents an opportunity for people who don’t usually engage with visual art in the traditional sense, including people who are visually impaired or blind, to have an authentic visual art experience by being able to touch the paintings.